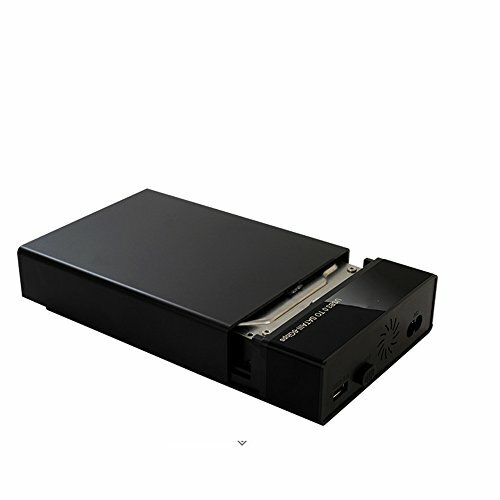 Support 2.5/3.5 inch interface mobile hard disk, mechanical / SSD solid state hard disk and so on. With the built-in power supply, the efficiency is greatly improved, the power supply is more stable, and the data is more secure. The product is equipped with non-slip foot mats to provide space for effective heat dissipation. 1GB of movie or data files, 5 seconds to complete the transfer, greatly saving your time. Five minutes of no operation is automatic hibernation, which reduces hard disk wear and reduces hard disk loss. When reading or writing data, it can wake up the hard disk.